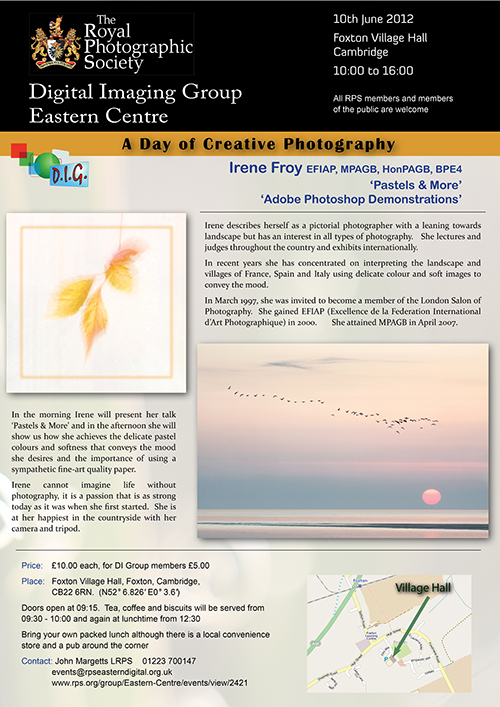 A day of lectures on creative photography by Irene Froy has been organized by the RPS Digital Imaging Eastern Centre. Irene describes herself as a pictoral photographer, she lectures and judges throughout the country and exhibits internationally. In recent years she has concentrated on interpreting the landscape and villages of France, Spain and Italy using delicate colour and soft images to convey the mood.